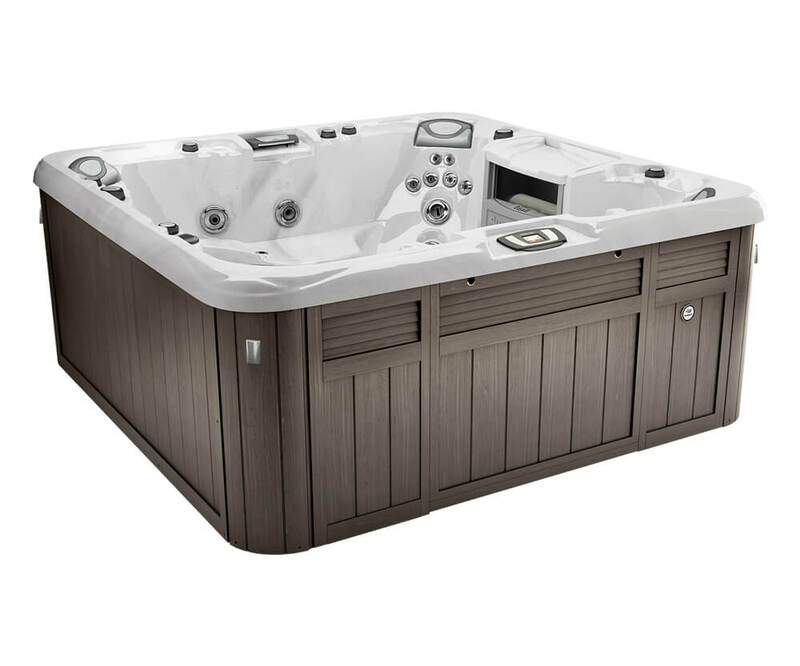 Size: 89” x 89” x 37.5"
Weight: Dry - 924 lbs. | Filled - 5,344 lbs. The Optima® has the best of everything, with room for up to seven adults and a variety of seat heights formed to fit diverse body types comfortably. 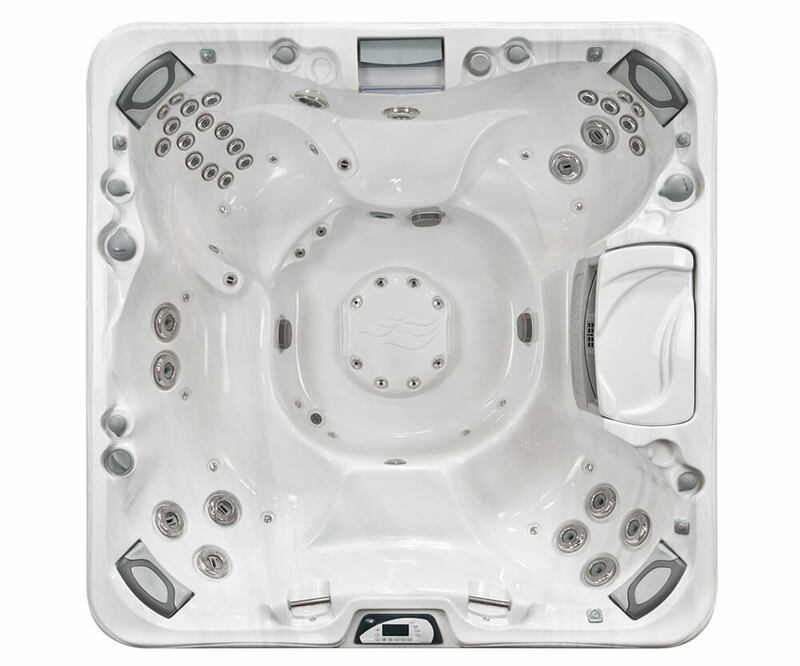 And with unique Fluidix® jet configurations and more massage therapy jets for the neck and shoulders than any other model, the Optima® is our most popular non-lounge Sundance® spa model. Size 89” x 89” x 37.5"